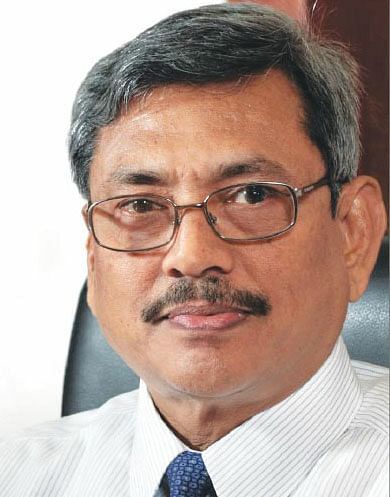 COLOMBO: India wanted the Rajapaksa government in Sri Lanka to stop the Chinese-funded US$ 1.4 billion Colombo Port City Project on the plea that it was inimical to India’s security, former Lankan Defense Secretary Gotabaya Rajapaksa has said. Gotabaya told a seminar organized by some professionals at the National Library here on Thursday that the request to stop the project was made to him personally by India’s National Security Advisor, Ajit Doval. “His primary request was to stop the Colombo Port City project. The reason he gave was that the Port City was a threat to the security of India. I don’t know if the present government is facing such demands,” Gotabaya said. “I assured the Indian National Security Advisor that the project posed no threat to India,” Gotabaya added. The mega project was halted the moment a new government headed by President Maithripala Sirisena and Prime Minister Ranil Wickremesinghe was formed after the January 8, 2015 Lankan Presidential election in which the incumbent, Mahinda Rajapaksa, was defeated. The government said that the project had not secured cabinet approval and a key environmental clearance certificate. However, it recently announced that the project will be resumed after it secures the necessary clearances. One of the prime movers of the Colombo professionals’ seminar, Prof. Shantha Hennayake (Professor of Geography and Deputy Vice Chancellor of Peradeniya University) told Express that the participants highlighted the issues which need to be taken up in the run up to the August 17 Lankan parliamentary elections. “Some myths have to be broken if the country has to progress along the path of economic development. One such myth is the belief that Lanka can see rapid development by sidelining China and taking US help instead. The US comes up with advice, but with empty pockets!,” Hennayake said. “The future belongs to Asia and the Indian Ocean region. China is the new fountainhead of growth here. Therefore, Lanka has to have good relations with Asian countries such as China and India,” he stressed. On the desirability of having Mahinda Rajapaksa back in the government as Prime Minister, Hennayake said that his return would promote the cause of development and progress, especially since undesirable elements in his camp have been weeded out.